Barcelona. 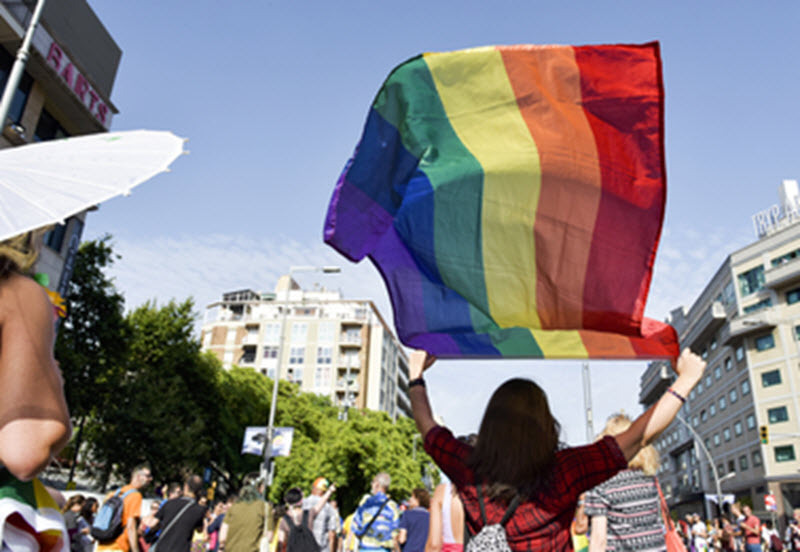 PRIDE Barcelona is an event for everyone to celebrate and make a stand. Special attention this pride on the 'LGBTI Refugees'. In more than 80 countries , gays are is danger because for persecution, torture, imprisonment and even assassination attempts. Many people in this situation only have the option to run away and seek asylum in another country in search of a better future. The pride have a VILLAGE with exhibition of entities, activities and a catering area. On Saturday 30th June late will be one of the most awaited moments of PRIDE Barcelona. With thousands of people joining the celebration. Pride Barcelona Parade will be at 17:00-19:30 on route: Parc de les Tres Xemeneies – Av. Paral·lel – Av. Maria Cristina Let's fill the street with Pride and acceptance under the slogan 'For LGTBI refugees'. At the end will be the (starts 19:00 h) MANIFIESTO PRIDE 2018 & PARTY OPENING at Av. Maria Cristina – Main stage.